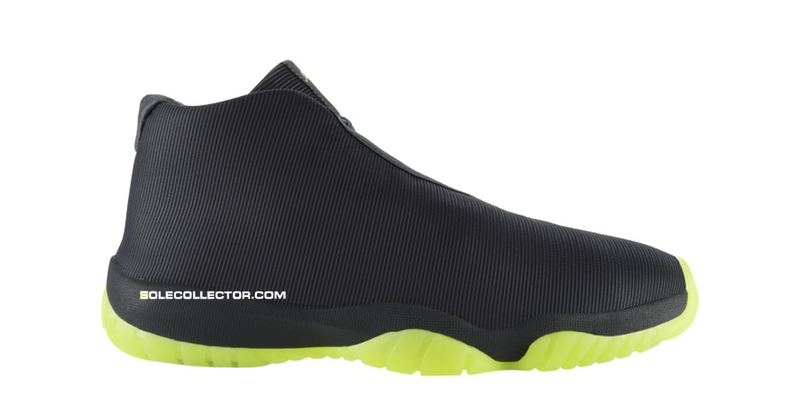 Another Air Jordan Future gets an official release date. This pair comes in a dark grey and volt colorway. Continuing on with the new-look upper, this pair features a dark grey-based 3M reflective mesh upper. A gold Jumpman branding is found on the tongue tag and insoles while volt accents the insole itself as well as the lace loops and full translucent outsole. The Air Jordan Future in dark grey and volt hits nike.com as well as select Jordan Brand retailers on Saturday, September 13.